On a Sunday morning, one of my good friends invited me for a breakfast. “Dr Modak, I have a serious matter to discuss with you. Please could you bring your Professor Friend as well?” He sounded a bit exasperated. My friend lived in one of the tallest buildings in Mumbai on the 104th floor. In fact, he occupied floors from 100 to 104 and owned the terrace that had a helipad. Few knew that he was the richest Indian on a global basis and yet he paid all the tax dues in full and in time to the Government of India and such several Governments. The world economy depended on him, his business and his investments. Some believed that his Indian tax returns were more than the annual budget of Municipal Corporation of Mumbai. To me this was rather an underestimate. Most business tycoons and houses like Tatas, Birlas, Ambani’s and Mittals were dwarfs in front of my friends “might”. He however chose to remain anonymous and only PM Modi (and of course Amit Shah) knew about him. “Money is not everything in life” He used to tell me whenever we had occasions to meet. This was not surprising as he already had all the money of the world to make such a statement! “So my friend? What’s your problem? I asked while sipping a freshly brewed Columbian coffee that was served in a solid silver mug. Requirement of EC for weddings was a news to me. I knew that lately food waste had become a focus of discussions to flag the environmental impact of Indian weddings. A recent survey showed that annually, Bangalore alone wastes 943 tonnes of quality food during weddings. The survey showed that 22% food wasted in buffet system and 20% in served system “This is enough to feed 26 million people a normal Indian meal,” a study by a team of 10 professors from the University of Agricultural Sciences (UAS), Bangalore, had concluded. 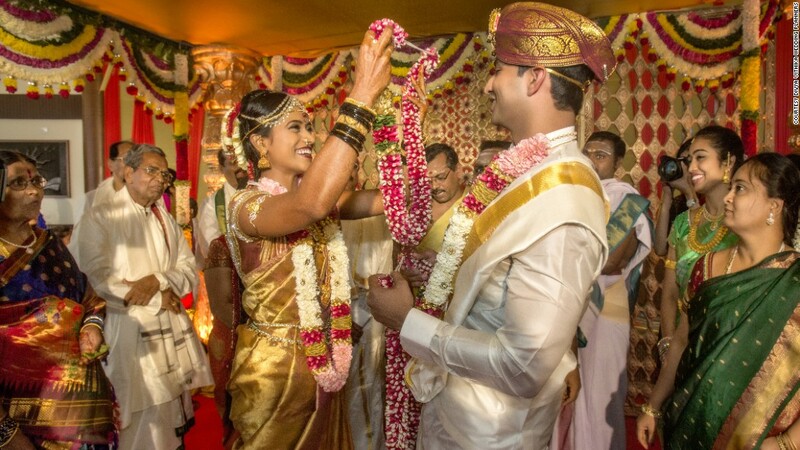 The team, under the guidance of UAS vice-chancellor K Narayana Gowda, surveyed 75 of Bangalore’s 531 marriage halls over a period of six months. At an average cost of Rs 40 per meal, the total food wastage in the city is estimated at Rs 3390 million” the study said. I realized that my friend’s plan of inviting 50,000 guests will mean that the economic implications of the food wastage could be close to annual budget of corporations of Mumbai, Delhi, Chennai and Kolkata – put together. Professor lighted his cigar, took a deep puff and placed the cigar on an ash tray that was studded with diamond and in gold. He then started outlining his ideas. “That’s not a good idea” my friend said. I saw him embarrassed. Now Professor took a deep puff from his cigar for a new idea. “Our environmental and social management plan will ensure least ecological footprint as much possible. We will study the addresses of invitees and come up with a decentralized strategy. The wedding will be relayed though screens of the size of a 6 storied building at multiple locations such that the overall carbon emissions are reduced. So in effect only 5000 people may attend the actual wedding at the Brabourne stadium and rest may participate remotely at say 10 locations. These locations will be carefully selected on application of Mixed Integer Zero One Programming. We will however take on cumulative impact assessment of the 10 simultaneous weddings. MoEF (&CC) is in a habit of asking such studies later as an afterthought. Further, an environmental and social management framework will be developed overarching the 10 locations emphasizing a common “green code of conduct”. Separate public hearings will be executed too”. “Oh, that is very thoughtful of you Professor”, I said “So you will assess impacts with and without “project” and with “centralized” and “decentralized” approach. “Yes, will you be giving any return gifts?” Professor asked my friend. “Let me then come up with a high level Disaster Management Plan (DMP) as there could be possibilities of stampedes while collecting the return gifts” Professor said this thoughtfully and took down notes in his scratch pad. “So kind of you” Professor said. He continued. We ended the breakfast with all this inspiring conversation. Professor was duly commissioned for getting the EC. My friend said that he was asked to join for Tea, post granting of EC, by Minister Prakash Javadekar in his chamber. When asked “any suggestions?” my friend said that while the idea of asking EC for weddings was a right step, how about asking for EC for holding political rallies? He said that rallies attracting thousands of people are rather impacting and could mean an aggregated impact equivalent to 200 coal power thermal power plants. “Why don’t you and Professor join again for breakfast?” My friend ended the conversation. He once again sounded rather exasperated with this explanation! Another hilarious “episode”. Good that the post marriage blues were not included as a compulsory “post audit”. Look forward to the next one. Indeed hilarious.However it must be recognised that waste management is a very serious challenge to the service provider and menace to the neighbourhood due to scasvenger animals ,flies .. Absolutely hilarious!! Prof Modak, I didn’t know that you write literary masterpieces as well. Thought you are an expert basically on the drab EIA!! Sometimes I do give surprises to friends like you! Thanks for appreciating this post.